AN AWARD-WINNING AND HIGHLY AFFORDABLE FOODIE JEWEL BOX, ABRI DELIVERS METICULOUSLY CRAFTED FRENCH-JAPANESE FUSION CUISINE AT THE HANDS OF JAPANESE CHEF, KATSUAKI OKIYAMA. 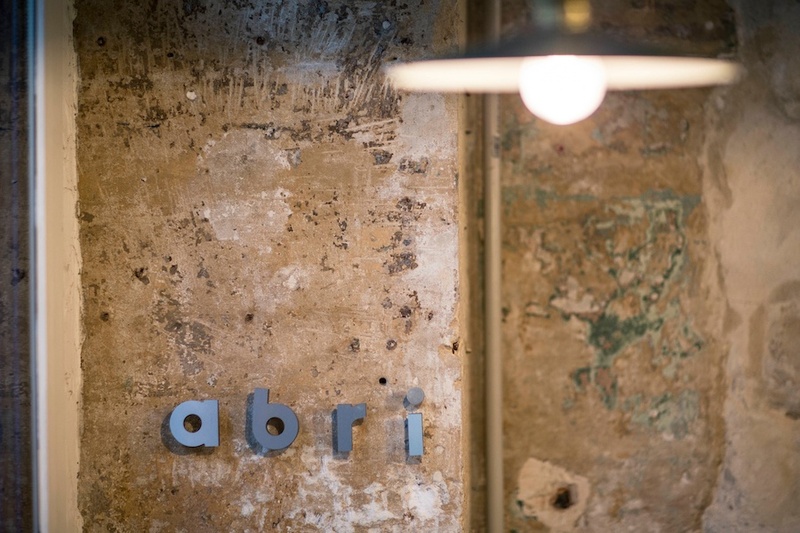 PARIS From the outside, Abri is discreet and without signage, just the name hand written on a piece of white paper. 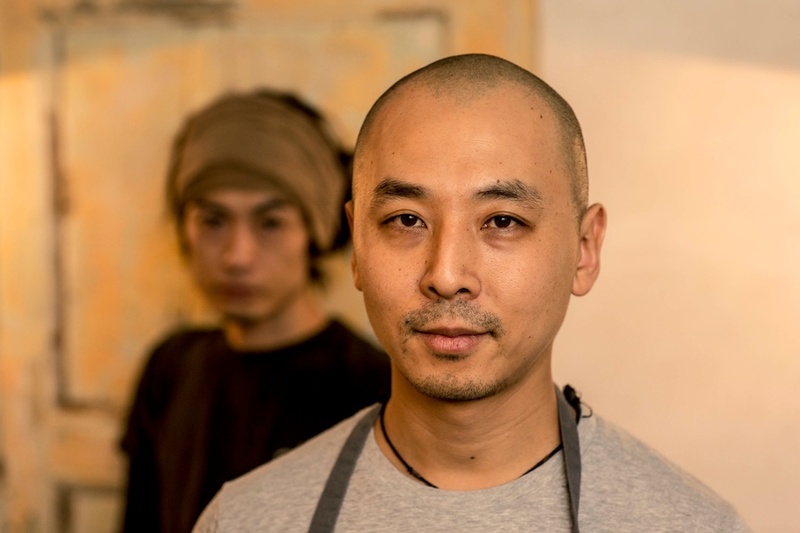 Inside, the miniature open kitchen is run with precision by its Japanese staff, headed by young chef Katsuaki Okiyama (ex-Robuchon, Taillevent and l’Agapé). Okiyama executes a dazzling array of tasting plates, at once minimal and complex, with impeccable precision. 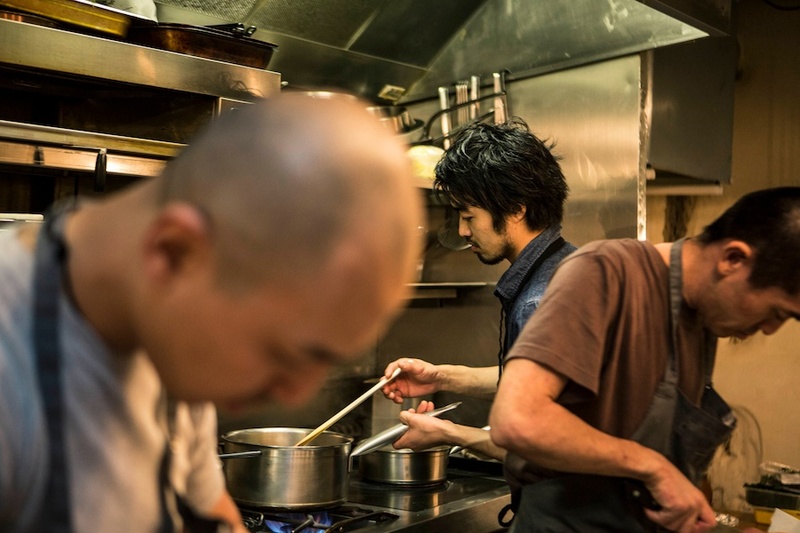 The dining room is a narrow “cantinette” with exposed stone walls and only 20 tables, where diners can watch the team of Japanese chefs at work in the open kitchen. Regulars rave about the gourmet sandwich days (served on Mondays and Saturdays, available in-house or for take away). The “Katsandwich” of tonkatsu breaded pork cutlet, fluffy omelet, cabbage slaw, and homemade sauces is a mere 13€ with either a glass of wine, organic juice, or tea. For lunch or dinner, the menu comes in the form of a surprise tasting menu; once diners select either fish or meat, the rest is left up to the chef and his team. The four-course tasting lunch consists of two entrees, a plat of fish or meat, and dessert (25€), while the six-course tasting dinner includes three entrees, a plat of fish and meat, followed by dessert (40€). The natural wine list features French wineries such as Pouilly-Fumé, Crémant du Jura, Gevrey-Chambertin and Pommard Premier Cru. O T H E R H O T R E S T A U R A N T S . . .